Discover our vibrant city's history as you immerse yourself in the rich cultural heritage unique to the Far North of Queensland. St. Monica’s Cathedral – Step inside one of the most breathtaking cathedrals in all of Australia, featuring the World’s largest themed stained glass windows. Afternoon Tea & Scones – Experience a true local delight warm, fresh from the oven scones with strawberry jam and cream and your choice of locally grown Devonshire Tea, Coffee, or Hot Chocolate at The Edge Café. Flecker Botanic Gardens – Enjoy a professional guided walk through the lush Flecker Botanical Gardens, renown for having one of the best exhibitions in Australia of tropical plants. Meander through the butterfly lined pathways under the green canopy, as your guide explains the various plant and wildlife you see along the way. 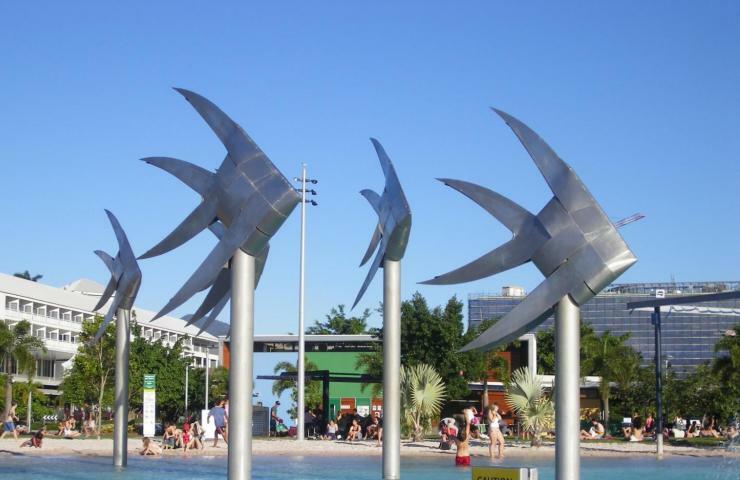 Stunning Lookouts – Cairns’ best scenic lookouts. Take in the panoramic hillside views from the most stunning vantage points in Cairns. Barron Falls – Enjoy a walk at the lower section of the Barron Gorge National Park, Surprise Creek Falls. Palm Cove – Conclude the day leaving the best for last… the stunning Palm Cove. Cairns ZOOm is the world’s first Challenge Ropes Course in a wildlife park, situated in the Cairns city centre. Experience adventure at varying heights and levels of difficulty, on 65 elements of crossings and ziplines. Mid-ZOOm - An easier level of difficulty, for your initiation. With tunnels, a climbing wall, cargo net, and swings. Hi-ZOOm - At a greater level of difficulty for the more adventurous, consisting of more complex crossings and 3 zip lines – one of which takes you directly over Goliath the croc! PowerJump - An enthralling freefall adventure with a 13 metre drop. Dome-Climb - Walk along an external platform with spectacular views of the city, the sea, and surrounding landscapes. Wildlife Dome - Daily shows and presentations, with free-flying birds and free-roaming animals.